Prince Charles had previously issued a 100-month climate tipping point deadline in 2009. Flashback: Earth ‘Serially Doomed': UN Issues New 15 Year Climate Tipping Point – But UN Issued Tipping Points in 1982 & Another 10-Year Tipping Point in 1989! Update: Wash. Times Features Climate Depot: Prince Charles extends climate doomsday deadline by 33 years: “The best projections tell us that we have less than 100 months to alter our behaviour before we risk catastrophic climate change,” the Prince of Wales said in a speech in Rio de Janeiro, as reported by the [U.K.] Telegraph. Four months later, he predicted in an interview with the [U.K.] Independent that the Earth had 96 months left to avoid “irretrievable climate and ecosystem collapse, and all that goes with it.” That prediction, which he continued to reference in other interviews, would have given the world until 2017 before reaching the “tipping point” of environmental catastrophe driven by climate change. 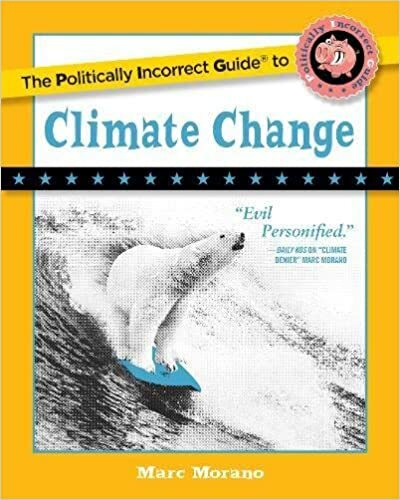 Climate “tipping points” have been a staple of the global warming movement for decades.